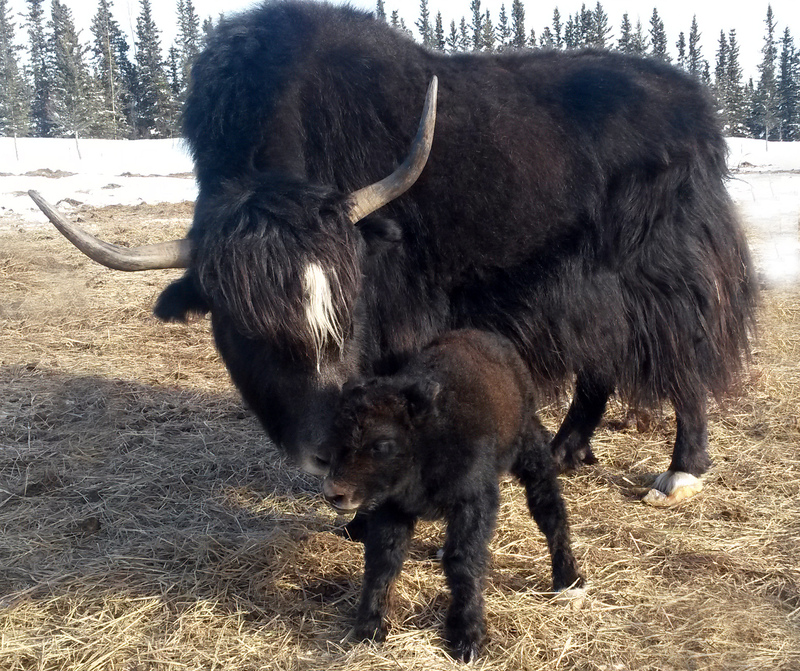 Blog | Alaska Yaks at Circle F Ranch | changing the world, one yak at a time…..
changing the world, one yak at a time…..
Here’s another short video showing interaction between some yearling yaks and yak calves. Here’s a short video from this morning. 3 yr. old Martin recently got a chance to “ride” Drifter. Gotty and our first calf of the year. ﻿Yatch and her new calf. Comments Off on Yak Babies! Channel 2’s Marti Glaser reports live from the Circle F Ranch with a story about an Alaska yak farm. 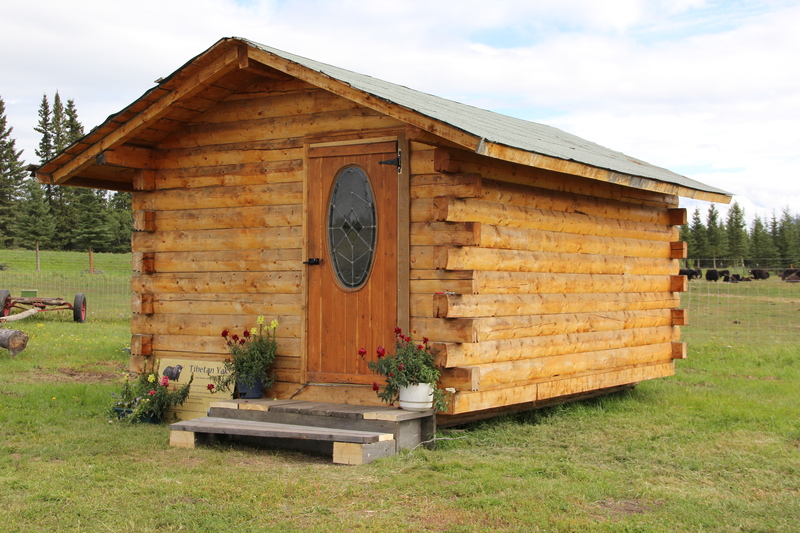 via Roadtrippin’ Alaska: A Yak Ranch in Chitina (Morning Edition, 5/7/2014). via Roadtrippin’ Alaska: Chitina (Newshour, 5/7/2014). Channel 2’s Marti Glaser attempts to ride a yak at Circle F Ranch. 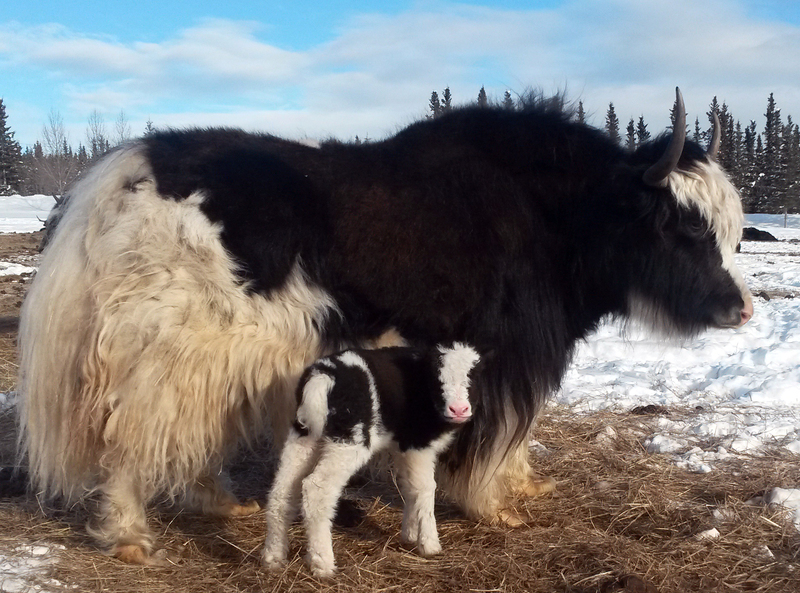 We are really excited with all the changes and new happenings here at Alaska Yaks. 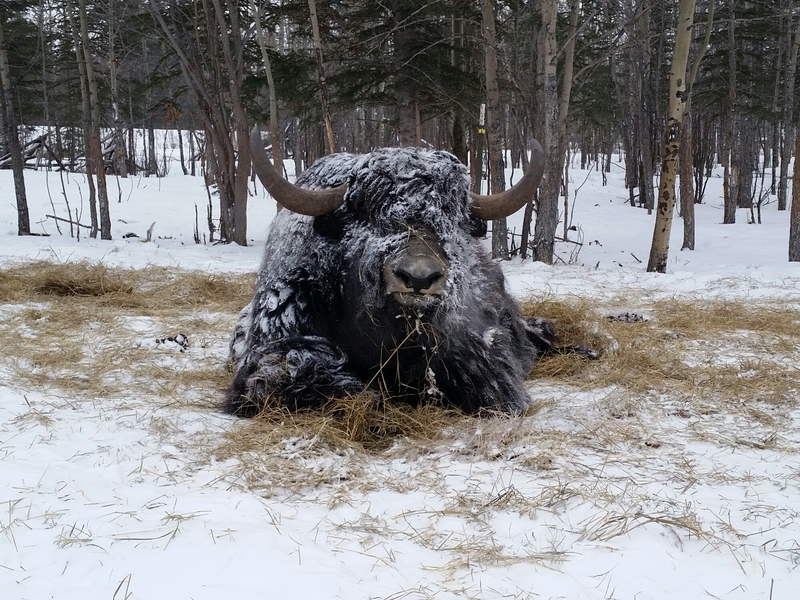 The yak herd continues to grow and evolve. We’re expecting many new babies this year and are anxiously looking forward to the results of our breeding program. We are proud of our three herd sires–Chisum, our Imperial bull, Hutch our Royal and Teddy our Black. We have two Teddy babies on the ground and boy are they cuties! Lucie was our first and is a stocky little gal out of Schick. Snowflake is a gorgeous and sweet little Royal out of Gotty. It’s so nice to see our Royal cows once again producing Royal calves, which we didn’t have happen with our former herdsire, Dell. Our meat sales are continuing to expand and we now have several restaurants around the state serving our delicious yak meat. We are looking forward to expanding our retail sales through local open air markets around Southcentral Alaska and I will be posting often to let you know when and where those locations will be. We continue to offer yak meat for sale here at the ranch and have added a new Interpretive Center/Gift Shop to meet this need(see below). 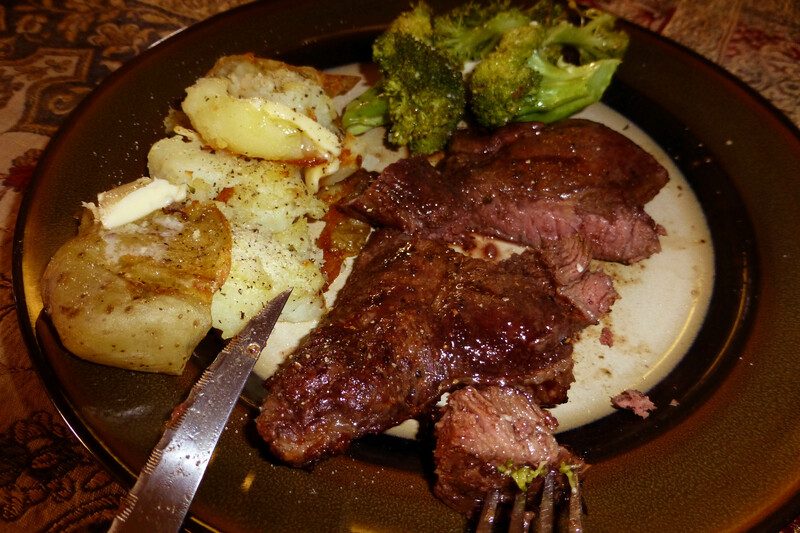 Enjoy a delicious yak New York steak dinner! Last summer we started working on the Interpretive Center/Gift Shop here at the ranch. It was open with a limited inventory but we didn’t publicize it much. Our official “Grand Opening” will be happening in mid-May, so plan on heading out and stopping by to visit. We’ll have prize drawings and yummy treats throughout the grand opening. 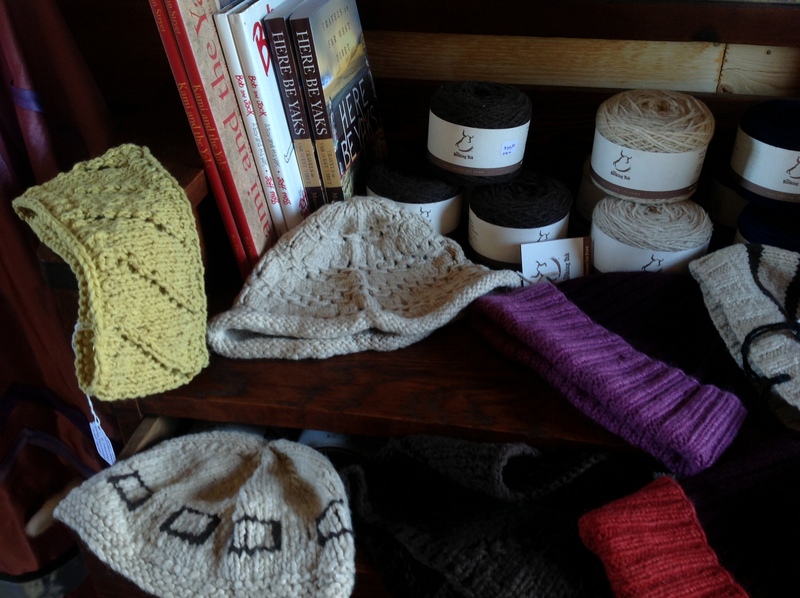 We offer a wide selection of yak products and gift items; raw fiber, ready to be spun fiber, yarn, knitted items and some really great 100% yak wool sweaters and shawls from Khunu. We carry both Khunu and The Rocking Yak products because we believe in supporting local yak producers in Tibet. Both these companies do this through the production of their products, through local fiber sourcing and/or production of yarn and garments. We also have greeting cards, books, videos, music, toys, jewelry, and so much more. I’ve scoured the world for unique yak items and I’m sure you’ll find something to love! 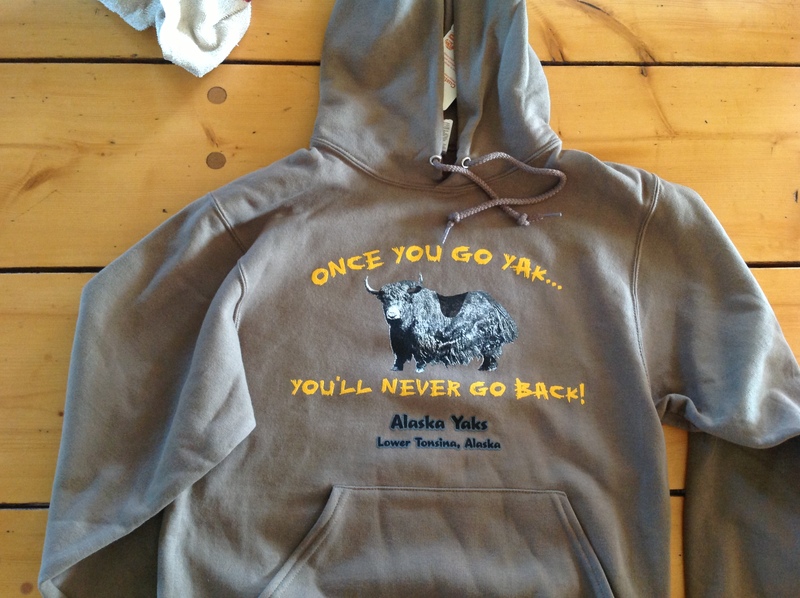 We hope to have the whole Yak Shack inventory available on our website by May so check it out. A small peek at a portion of our store items. Just one of the fabulous clothing items we have for sale! 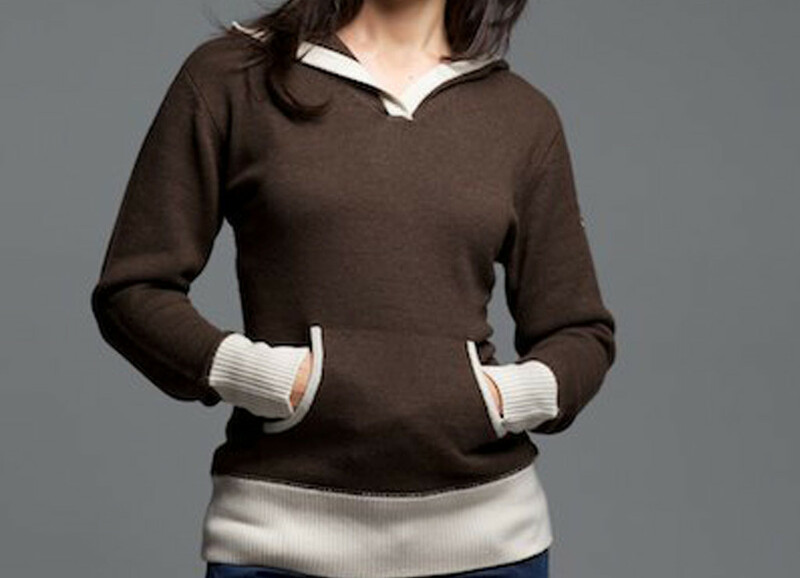 The “Tara” sweater by Khunu. Beginning in May 2014 we will be offering Ranch Interpretive Tours and Nature Walks. These will be available May through August seven days a week between the hours of 10am and 7pm. Our tour leaders are well versed in yak facts and these tours take about an hour. We have plenty of turn around space for cars/campers/buses and can accommodate large groups with prior notice. The cost for these informative tours are $10 for adults and $5 for children over 5 yrs. We do offer family rates. Nature walks start here at the ranch and are approximately 1 1/2 miles in length. One of our gentle pack yaks and a guide will accompany your group, with the yak carrying lunches (please bring you own), and other gear. 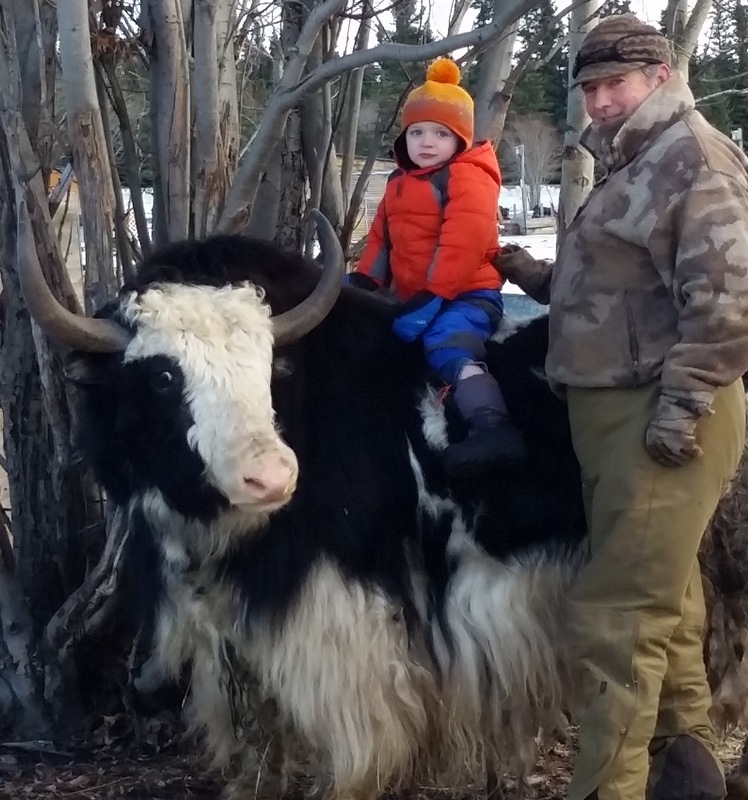 You’ll learn about local history, plants, wildlife and of course, about yaks from your knowledgeable guide ! These are slow paced walks with lots of photo opportunities, so don’t forget to bring your camera! Nature Walk Tours are $65.00 per person and are limited to ages 10 and older. Come join us this summer for lots of yak fun!